I’m currently looking at five weeks off work with utter horror and almost anxiety. I have to do SOMETHING during that time and my mind inevitably turns to games design. The problem is – hilariously for those that know my recent struggles with zero inspiration – I have LOADS of embryonic ideas. Too many! Want to read about some of them? 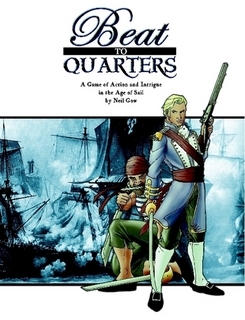 Hey, why not update Duty & Honour and Beat to Quarters? Whilst your doing that, why not expand the system to include more social, home based adventures ala Poldark? Why not ditch all of that and finish the BtQ-in-Space thing you started years ago. You even have a name for it: Pulsars and Privateers. 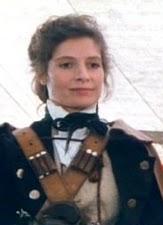 How about that ‘The War’ thing where you do the Crimean War in Near Space as a series of Lady Blackbird-esque adventures? What about a nice simple fantasy system where characters are built with cards so everything is all swappable. You like cards, remember? Blood Rose, a throw away comment about a single-shot PbtA game of desperate and decaying bad people in their final days before The Fall, is burning in my breast. That Harlem Heroes/Inferno anthology has ignited my thoughts about a Future Sports game. Settling down on one thing to do in five weeks of free time is going to prove … difficult! Uncategorized Comments Off on So… Novocastria? Novocastria is a dream given form… no, sorry, that’s Babylon 5! Actually Novocastria is something that started out as a daydream, wandering around my home city of Newcastle and riffing off the place names and street signs. A few days later, I did the same with my daughter and we spent an entire afternoon looking at signs and buildings and architectural what-nots and spinning stories about them. A few weeks after that, I revisited the places of interest we found and started to take photos on my phone. Lots of photos. Since then, I have been throwing around the ideas we came up with then, convinced that they can be part of a great gaming experience. I did bring it to the table for a couple of sessions and it worked but life complications meant it never really came to fruition. It did, however, give me some pointers about how I wanted to progress with writing this idea up. Pinning it down to one system is never going to work – it has to be a resource that you can use for your own adventures rather than a system-limited xerox of mine. What I’m aiming for is a gazetteer style entry for each point of interest, with bullet pointed GM resources in call out, looking at key information, key NPCs, sensory triggers and potential conflicts. 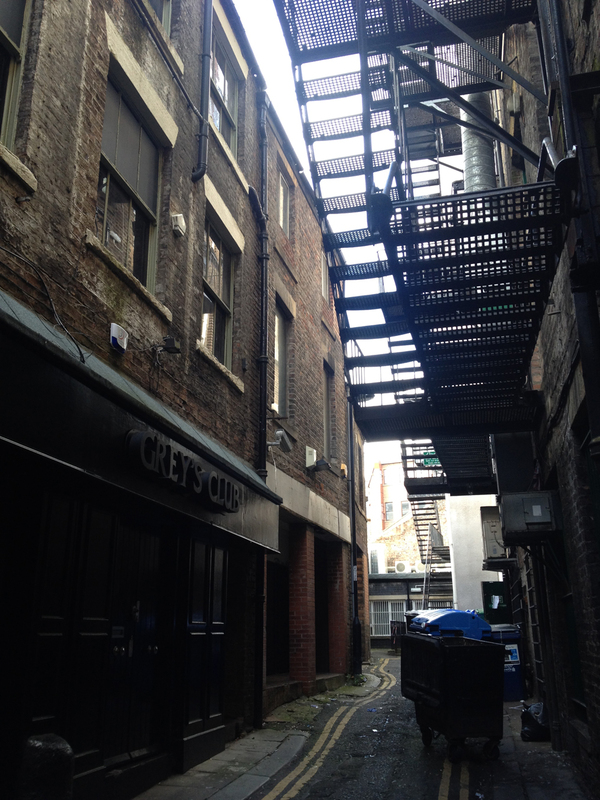 Each area will have a little random rumour table and text/images linking it to real world Newcastle. A two-page spread should give you everything you need for that particular environment. Obviously, the entire project is based on Neil Gaimen’s work on Neverwhere, a favourite of the entire Gow clan, but I want this to be a focused look at a city through an urban fantasy lens. So if the work can double up as a great city environment for an urban fantasy adventure, as well as a framework for you to do this to your own city, then that’s brilliant. I’ll be starting work on this in September. No idea about format or finish time yet, but I reckon it’ll be a great work out for my imagination before I start into the major work I have planned for 2017! So, until later, remember … BEWARE THE KEELMEN! News Comments Off on What’s on the horizon? Well here are my initial thoughts on the short term future of Omnihedron Games. The most important thing is that I want to create but I don’t necessarily want to make great bins of cash. During my hiatus it has become apparent to me that the creative process is the real return on these things, not the money. That’s not saying I won’t be charging for things in the future but my aim is to give more stuff away than I charge for. The first thing to move from the ‘Great Geordie Ideas Pile’ to the website will be Novocastria. Embracing my Geordie roots and my love of my home town, this is ‘Neverwhere North’ – a setting based on the hidden secrets of Newcastle (or Novocastria as it was known). I’m aiming to initially make this system-less – a resource of ideas and stories that can be picked up and used by anyone who enjoys urban fantasy, or who would like a template for the development of their own home city setting. The second thing is something that I have been thinking about for ages – a conglomeration of a number of ideas really. I want to write some SF gaming material, and I particularly love ‘in-system’ SF. I’ve also wanted to do something with the Crimean War for a long time as I find it a fascinating conflict that gets very little attention. Finally, I’ve always been interested in a modular adventure format where the players take the roles of a series of characters, viewing an adventure from different angles and experiencing different moments in the unfolding story. The model for this sort of thing looks a lot like the method John Harper has used for Lady Blackbird. Something simple and painfully evocative. That is what I have codenamed The War. But what about your existing games Neil? What about ‘Empire‘ and ‘Era‘? I promise nothing. Easy stuff first – a systemless document and a series of short encounters. What comes next? We shall see. It has, as they say, been a funny old year. 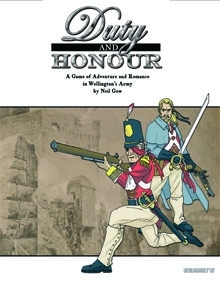 Duty and Honour was published in 2008. It still feels like yesterday. Eighteen months ago I decided that life had moved into a place where writing games material and publishing was just too much like hard work. 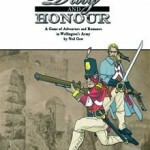 In the whirling tumult of my life, writing yet more stuff about Napoleonic soldiers seemed like just another chore. It was time to close the doors on Omnihedron Games. Everyone was really nice about it and I thoroughly appreciated the messages of support and congratulations that I received. And that was that. Never let it be said that life doesn’t take some strange turns! As things settled down, I thought foolishly that I could manage a Masters degree alongside my job … because that makes sense. Thing is, I have (so far) managed it well – even in the face of some timetable changes to my teaching job that have done obscene things to my workload. 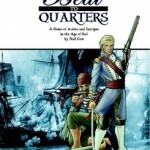 Additionally, it has reawakened the ‘reading for research’ thing that was so important for Duty & Honour and especially Beat to Quarters. Moreover, the creative juices have really started to flow again and the ideas are firing. Not just for my existing games but for new ventures as well. My gaming has changed a lot since 2008 – hell, gaming has changed a lot since 2008! There is a lot to be reflected in the way I want to move things forward … so move things forward I shall! What does that mean? Well, nothing at the moment – the Masters has to come first. After that, we shall see what’s what. Think of this as a statement of intent.